Are Prescription Acne Treatments Better Than Over the Counter Alternatives? Acne. No matter what you do, it never seems to completely go away. You’ve tried a few different over the counter scrubs and washes, and nothing seems to work on your skin. You’re starting to believe that every acne product is scamming you, ready to take your money and break your heart. You’ve thought about prescription acne treatments, but you’re not sure whether it’s worth it. Let’s find out. From Clearasil to Neutrogena, advertisements for over the counter medications and facial scrubs are everywhere. That’s because they are available for anyone to buy and are relatively inexpensive. These treatments don’t require a prescription. However, many times if you consult a dermatologist, you are much more likely to be able to find a skincare regimen that will suit your skin type. Over the counter drugs are available for anyone to buy, which means that the ingredients in them are tame enough for you to take without needing a doctor to sign off on them. That’s not necessarily bad. Some chemicals can be very damaging to the skin and body and shouldn’t be taken by just anyone. These products can also be very unreliable. While Proactiv may work for its celebrity spokes people, many users see no results at all. Some over the counter products have even been known to worsen skin conditions. You should always discontinue the use of a skincare product if the condition of your skin is getting worse. 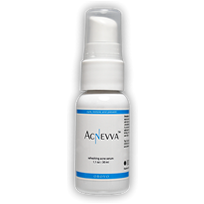 Many acne products treat pimples and blackheads by drying out your face. 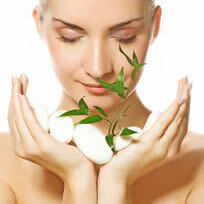 Therefore, many people suffer from abnormally dry and flaky skin while they are using skin products. There are many different types of prescription medications and facial gels out there. Some of them seem to work better for some users, but just like over the counter treatments, not everything is good for everyone, but something is usually good for someone. Prescription acne medications aren’t available over the counter because they contain a drug that is too strong to be taken lightly enough to be available to anyone who comes to the drug store. Prescription acne treatments should be treated seriously. They require frequent trips to the doctor’s office and pharmacy. In additiona, most cost significantly more than over the counter products. Many prescription acne treatments may be effective in clearing up blemishes and pimples but they can also come with serious side effects. One of the most successful prescription acne treatments is Isotretinoin, which often comes under the brand name Accutane. Severe acne conditions clear up for most users of Isotretinoin as long as they are taking the medication as directed. Isotretinoin has a severe affect on the body. Women who are pregnant are not allowed to use Isotretinoin, because it can terminate pregnancies and cause birth defects in the unborn children. Users of Isotretinoin are required to register with a program called iPledge, basically promising that they are aware of the health risks involved and that they solemnly swear that they will not get pregnant while they are taking the medication. Isotretinoin users must go in to see their doctor every month and may only receive their prescription 30 days after they got the last one. The doctor and pharmacy must also be associated with the iPledge program. For men, the risks and warnings are much less severe but they are still required to join iPledge. Not all over the counter skincare products are useless and not all prescription drugs are harmful. Acne is a tricky problem that has no right or wrong answer. All we can say is that if over the counter isn’t working for you, then maybe you should consult a dermatologist. Dermatologists can lead you in the right direction, whether that be more OTC treatments, or a prescribed medication. If you’ve tried and tried to get rid of your acne it doesn’t hurt to try some more. Use caution, do your research, and hopefully you’ll find something right for you. There’s always something you haven’t tried yet. Comments on "Are Prescription Acne Treatments Better Than Over the Counter Alternatives?" 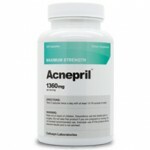 Leave a Comment about Are Prescription Acne Treatments Better Than Over the Counter Alternatives? here. trust me over the counter tretemants for acne dont work as there not strong enuff and often irrate the skin and make it worse! clearasil, visibly clear, oxy you name it i tried it and wasted a lot of money. Then i finally went to the doctors and he prescribed me sum zineryt and within a few weeks my skin completey cleared up so dont waste ur time and money just get to the doctors. I had a big problem for many years; I had severe acne and I wish it was only on my face…but unfortunately I had it all over my back, my thighs, my neck and even some on my feet and in my hair!